I am absolutely fascinated by the lives of a few historical figures. I will read anything written about Napoleon (negative or positive – I am on the side of Andrew Roberts rather than Charles Esdaile – Napoleon is one of my heroes, albeit a very human hero). I will read anything about Churchill (particularly if it was written by Max Hastings). 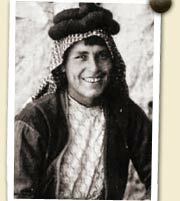 Similarly I will read anything that is about TE Lawrence. Having read and thoroughly enjoyed Anthony Sattin’s earlier book ‘The Gates of Africa’ about the European ‘search’ for Timbuktu I was excited to see that he’d written one about Lawrence of Arabia. As the title suggests, the book focuses on Lawrence’s life up to the outbreak of World War One. His later life and involvement in Middle Eastern politics have been copiously written about and described by numerous people, and so it was interesting to be able to read a book that focused on his early years, as he, maybe unsurprisingly, had a fascinating life from the word go. 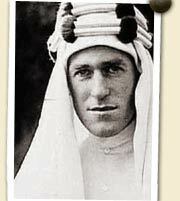 TE Lawrence is one of those people whose lives I envy and who I can identify with (in a small way). An interest in other cultures, a love of travelling and finding a ‘foreign’ place that feels like home all resonate with me. Not that I would want to live anyway except London necessarily, but it’s always good to have somewhere else you can go to, where you feel familiar and fit in. I love his confidence, tromping round alien parts wearing a suit and hob-nailed boots. Refusing to do as other ‘tourists’ and hire a load of people to carry his luggage (no tin bath and crates of brandy for him). Not liking, at some points in his journeying, being surrounded by men with guns (to protect him, although it didn’t always work out that way). Sattin’s book has made the older, more frequently portrayed Lawrence more easily explained, although he will always remain something of an enigma, and no doubt we will never know the truth of some of the events that allegedly happened. Maybe they did, maybe they didn’t. Not knowing is part of the attraction of the man. There is a wealth of information about the digs at Carchemish, how TE lived there, and his very close friendship (if it was only a friendship) with Dahoum, who educated him in many ways. There is an explanation of his illegitimacy and how this may have affected his relationship with his family, and particularly his rather domineering-sounding mother. There are snippets of other people’s views of him. I’ve read books about and by Gertrude Bell (another hero of mine), who mentions him, so it’s interesting to read his view of her. The book is supremely well written and is peppered with quotes, both by and about Lawrence, my favourite being ‘To do the best of anything (or to try to do it) is not a waste of opportunity’. Or of time, I would add. And certainly reading this book was not a waste of time – I thoroughly recommend it.